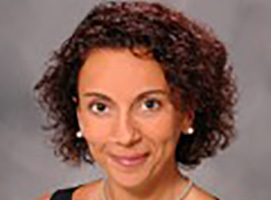 What can institutions do to increase access of Latino college students to higher education? As the Latino population increases in the United States, more and more Latino students will be matriculating to college in the coming years. This is an exciting opportunity for the students and the institutions they will attend, but this student population also has unique characteristics that colleges need to consider when recruiting them. I spoke about this important issue with one of the most passionate advocates I know for increasing access to higher education for Latino college students—Luis Narvaez. He has served as the program director at Chicago Public Schools since 2015. Under his leadership, his office has overseen the implementation of the “State Seal of Biliteracy” across the entire district, awarding more than 5,000 K-12 students for their biliteracy skills in English and nearly a dozen world languages! Luis and his team have also increased teacher participation in ESL/Bilingual Endorsement teacher cohorts by managing the application process of more than 500 K-12 district employees and has maintained fundraising efforts for the Chicago Public Schools DREAM Fund Scholarship (which provides assistance to dozens of undocumented immigrant students in their pursuit of college and career success). Get the word out early—Don’t wait to recruit Latino students until they are seniors in high school. Visit middle and high schools and get the word out with simple information about the advantages of earning a bachelor’s degree. Get the word out in Spanish—Yes, the students are bilingual (some of them don’t really even speak Spanish) but their parents are not native speakers of English, and some may not even be proficient. Invite them to visit—Many Latino parents are not college graduates, so the entire college planning process is very foreign to them. That does not mean they don’t support their children going to college, it just means they don’t know that “visiting” is part of the process. Invite them, make them feel welcome, and host special events for them. Connect them with Latino parents of current students—Parents of your current Latino students may be your best ambassador with parents of Latino prospects. They speak the same language (literally and figuratively). Parents of your current students will be able to speak to prospective parents’ fears and same questions. Based on his many years of experience in the Chicago Public Schools, Luis has recommendations for high school counselors working with college-bound Latino students. Don’t assume anything about Latino parents—In many cases their lack of involvement does not equal a lack of support for their kids’ education, it means they both don’t know what to do to help or may not think their help is needed. Be proactive and communicate with them—For written communications, use both English and Spanish. Don’t forget the telephone is key with Latino parents! If you don’t speak Spanish, check if you have colleagues who are fluent and could have those conversations. Call Latino students and their parents to invite them to college planning events. Make parents feel welcome and valued—Latino parents may have feelings of inadequacy because of their lack of experience with postsecondary education. Help them feel relaxed and valued. Connect them with parents of your alumni who already went through the college planning process—Those alumni can share a lot and they will be able to walk in the shoes of Latino parents in ways nobody else can. Personal connections are crucial in Latino cultures, use that to create understanding and momentum for students to attend college. If you want to learn more about the Chicago Public Schools DREAM Fund Scholarship and the amazing job Luis and his team are doing, visit their page. We applaud their efforts in making a postsecondary dream come true for many students. 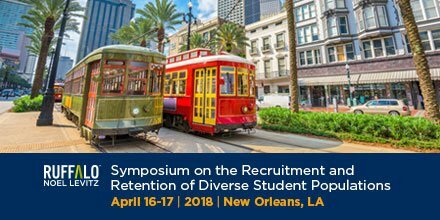 I also invite you to join us at the 2018 Symposium on the Recruitment and Retention of Diverse Populations in New Orleans. My RNL colleagues and I, along with many other campus professionals and experts, will be presenting sessions on Latino enrollment, first-generation students, nontraditional students, and other key student populations. Register by March 26 to receive an early registration rate. And if increasing the presence of Latino students in your campus is one of your objectives you may also want to learn about RNL can help you, please email me. Luis speaks passionately of education, it is clear that this is not just a job for him. His enthusiasm is clear and contagious. Many thanks to Luis and his team who work to advance the access to higher education for hundreds of Latino high school students!